6 Helen Dr, Newport News, VA 23602 (#10246411) :: Abbitt Realty Co. 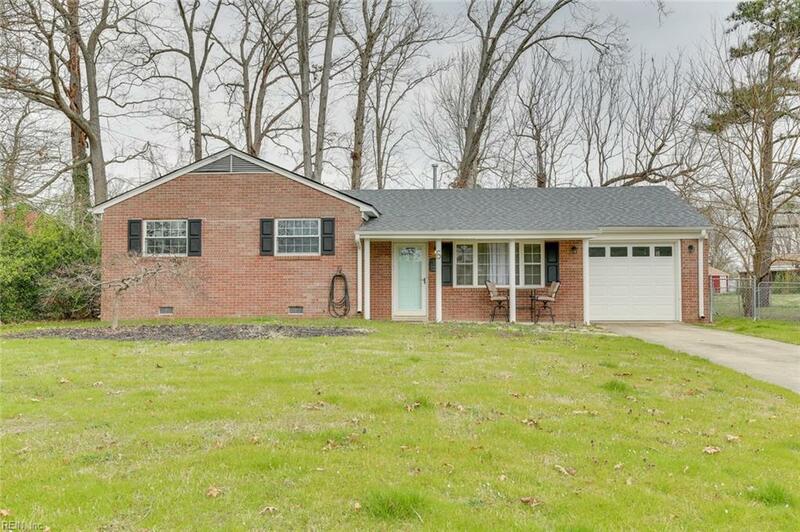 This adorable all brick ranch in Omega Estates on a large 3rd of an acre lot has so much to offer! 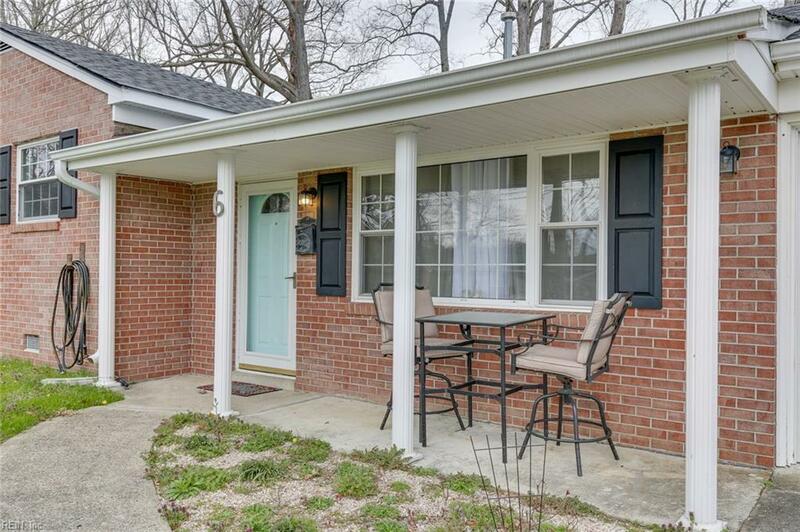 The cozy front porch welcomes you and is perfect for the afternoon sun. 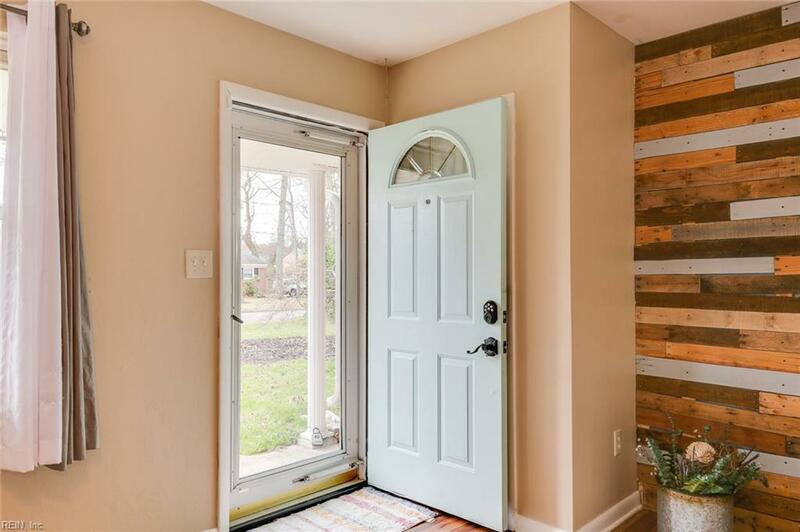 As you enter the home the family room has newer laminate hardwood style floors with a pallet wall dcor for an accent wall. The kitchen was recently remolded and includes tiled floors, chair and crown molding, stainless steel appliances, granite countertops and a tiled backsplash. Off the kitchen is a large addition that could be a master suite or a great room that host a gas fireplace and two deep closets! There are three additional bedrooms with original hardwood floors thats pristine, deep walk in closets and new ceiling fans. One of the bedrooms has its own powder room too. The hall bathroom was recently updated with new tile floors, new double sinks and a tiled tub surround. Deep linen and coat closets are also available. 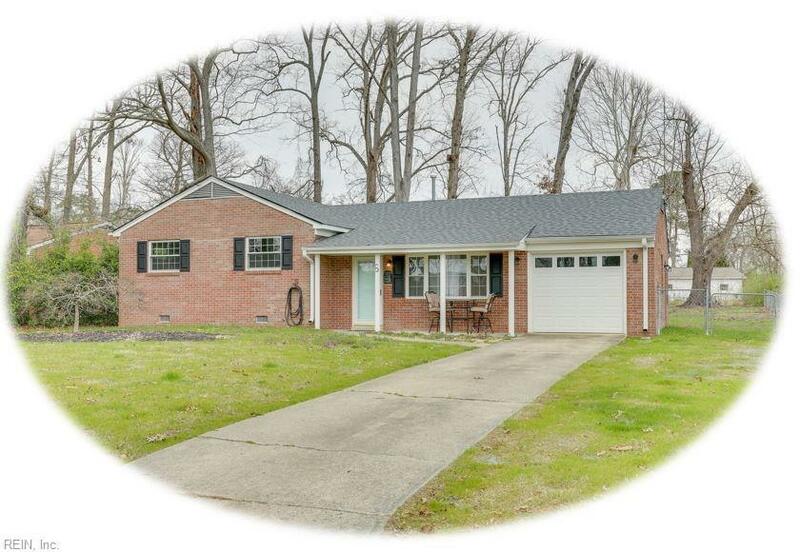 This home has more updates to include, a New Roof in 2017, Replacement windows, exterior power washed in 2019, automatic and remote access garage door, new pedestrian door in 2019, gutters, sheet rocked garage walls, updated electrical with GFCIs and new lighting fixtures.